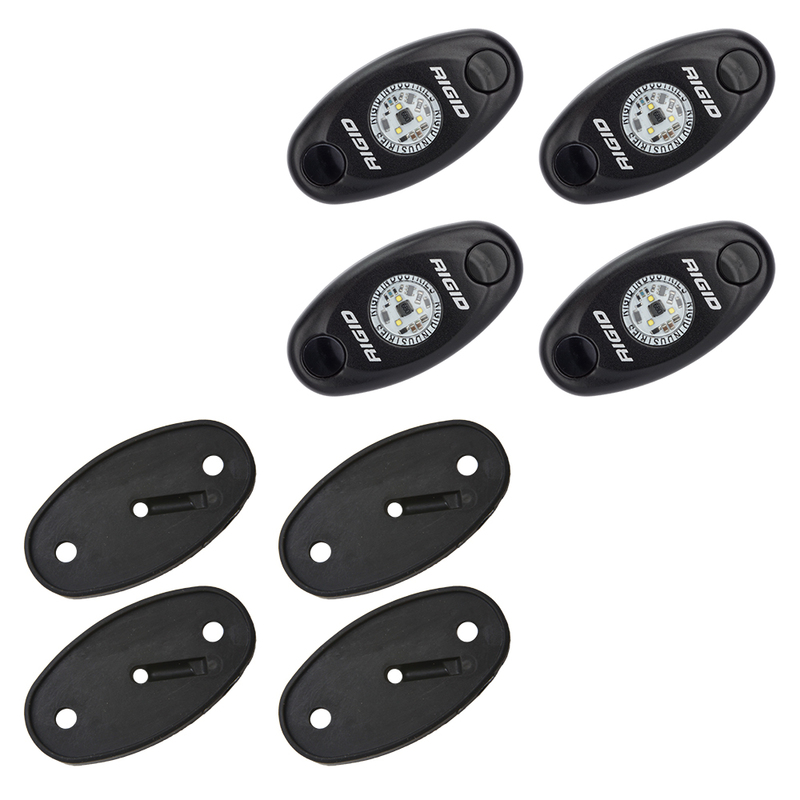 Created specifically for night fishing, the RIGID Boat Deck Lighting Kit provides a simple and effective way to illuminate boat decks for night use without blinding boat occupants. These kits consist of four or six A-Series lights with a dedicated 27 harness that can handle most installations on boats of up to 24. The A-Series LED lights feature water resistant die cast aluminum housings, polycarbonate lens and a built-in thermal management system that ensures long life. These kits are also available in a variety of colors and color combinations to accommodate different needs and preferences.